I recently made this 6x6" coaster for my sewing table and I wanted to write up a quick tutorial for you because it was so easy!! If you're someone who enjoys making hexies this will get done in no time - BUT even if you're a beginner you can do this! This was my first time every making hexies! First, I have to admit that I don't like hand sewing - at all. 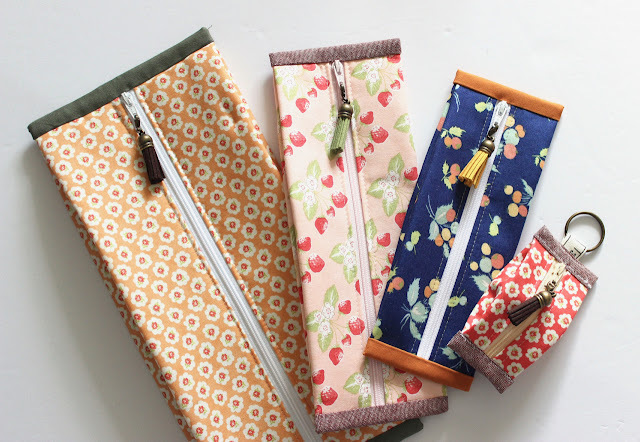 I machine sew or bind whenever I can to avoid the dreaded hand sewing. I just cant seem to find it relaxing like a lot of people say they do. For me its just a lot of hand cramping LOL. So believe me when I say, if I can do this, so can you! 6 1/2" x 6 1/2" piece each of linen, backing and batting. Using your seven 1" hexie paper pieces, cut fabric to approx 1/4" to 1/2" larger than the paper piece. (2.5" charm squares are perfect for this!!) Glue baste or hand sew in place. *I find glue basting very fast and just as secure. Next, place two hexies right sides together and ladder stitch (or blind stitch) together along one edge. Take remaining hexies and use same process to complete a hexie "flower" of sorts. Checkout this tutorial if you need help. Once the entire hexie set is sewn together remove the paper templates. Then, press with a hot iron to flatten. Use starch if you want. Now onto the coaster itself - grab your three 6 1/2" squares (backing, batting, and linen). Put your batting face down, your batting on top of it, and your linen face up ontop of that. You should now have a "sandwich" in which your batting is in the middle of your backing and linen. Machine quilt as desired. Trim your coaster to 6 1/4" square. 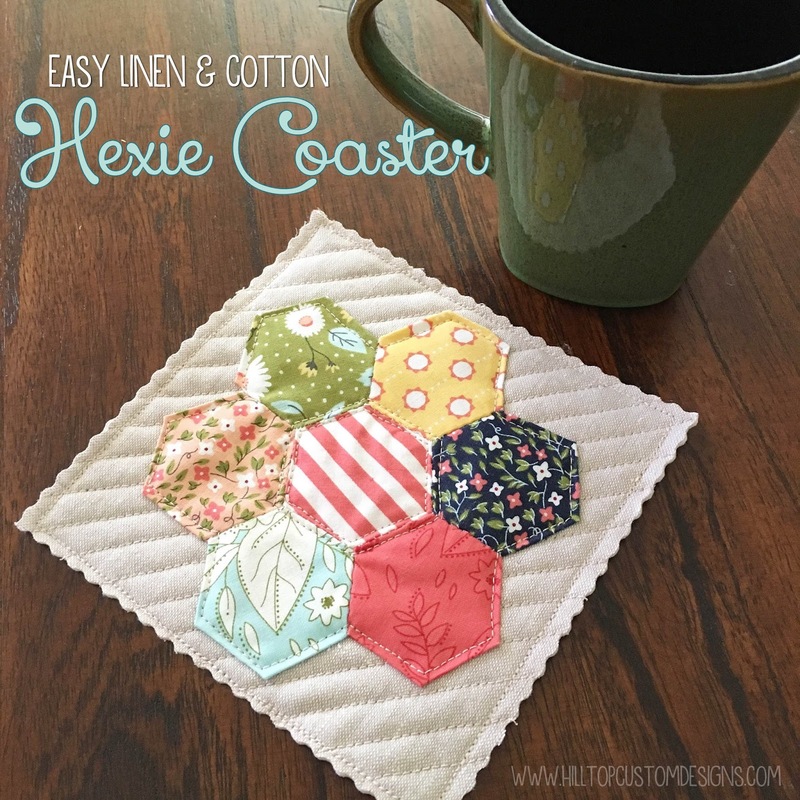 Sew around the quilting coaster with a 1/4" seam twice. You will overlap your first stitches, and go around again for durability since your raw edge will be exposed. Lay your hexie flower ontop of your linen coaster and center it. Pin in place and sew down by hand or by machine. Using pinking shears or a pinking blade on your rotary cutter, trim a bit off all 4 sides of your finished coaster. You're done! Ok, that's it! I hope I explained well enough. Ofcourse, if you've done hexies like this before you'll probably get the general idea of how this came together and won't need video tutorials (bravo to you lol). I was afraid to try them for such a long time, but there was really nothing to be afraid of. 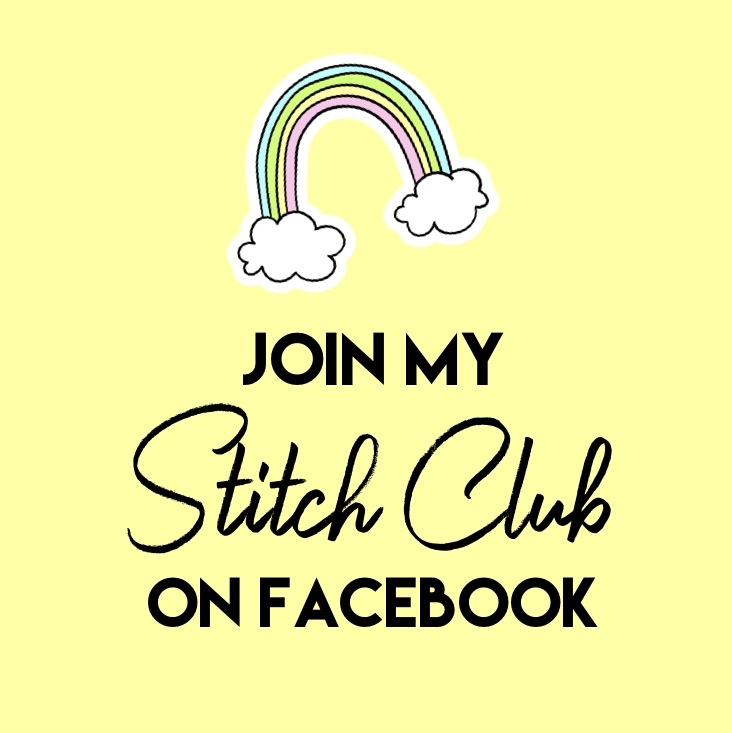 Im in an #UnderTheSeaSwap on Instagram that will be kicking off soon and I cant wait to practice hexies more. I'd love to incorporate them into my swap package for my partner!